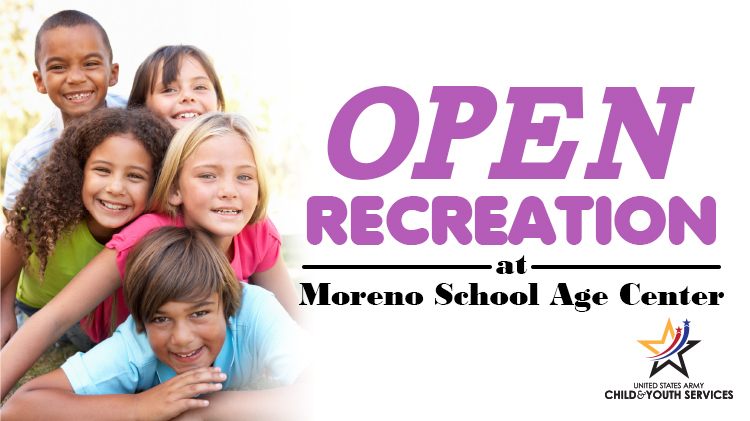 Date: Apr 20 2019, 9 a.m. - 1 p.m.
Saturday Open Recreation is now available at the Moreno School Age Center for CYS-registered youths in grades 1st-5th! Space is limited so be sure to sign up fast! Parent or authorized designees must drop off at 9 a.m. and pick up youth by 1 p.m.
Open to all CYS-registered children grades 1st-5th. Limited space available.